Welcome and thanks for visiting my website. I hope you will find the information you need. My professional life has been varied and interesting. Before entering practice in psychiatry, I worked for many years in general medicine. This background in general medicine has been helpful in my work in psychiatry, helping me to know more about the general medical aspects of a patient, aside from the psychiatric. Also, I have completed graduate education in the areas of philosophy and theology, and this has been most interesting and helpful in psychiatric work. That is because the psychiatric profession overlaps with so many areas of human knowledge — the biological sciences, such as medicine, biology, & chemistry – as well as the humanities, such as philosophy, theology, and literature. It is my hope that the knowledge and experience which I have obtained in these areas will help each patient or client to find the answers and treatments which he or she needs to live life to the fullest. 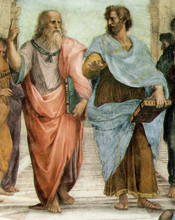 Aside from my work in psychiatry, I also provide private consultations for groups or individuals in philosophy — part of the new movement in “philosophical counseling.” See the tab for Areas of Professional Practice for more information, or visit the website for The American Philosophical Practitioners’ Association (www.appa.edu) for more information. 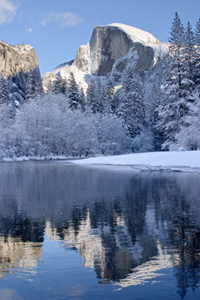 Yosemite in Winter. By S. Greg Panosian. 3. Presidential Classroom in Wash., D.C.
(www.uark.edu/home), B.S. in Medical Sciences, GPA 3.897.
a. Louisiana State University School of Medicine (www.medschool.lsuhsc.edu) , New Orleans, LA, Doctor of Medicine degree. 2. National Research Service Scholarship, research in medical ethics, Dr. James A. Knight, coordinator. b. Biola University, LaMirada, California (www.biola.edu), M.A. in Philosophy of Religion & Ethics, grad. Dec. 2008 with highest honors, GPA 3.914, inducted to Kappa Tau Epsilon academic honor society. 5. Board Certification: Diplomat of the American Board of Psychiatry and Neurology (www.abpn.com), January 2007, ABPN #56807.